Turquoise pendant with white topaz in sterling silver. 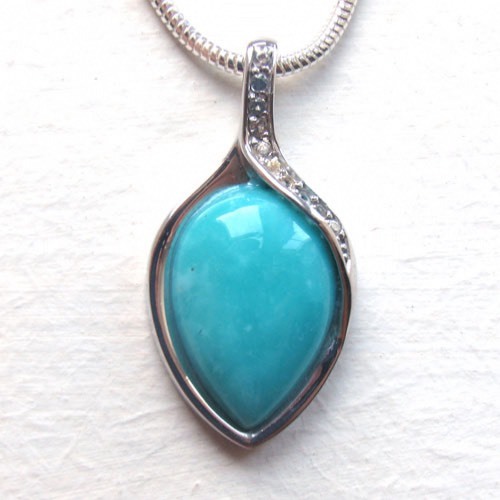 This elegant pendant is not only a very graceful shape and size, it shows off a beautifully coloured turquoise gemstone. 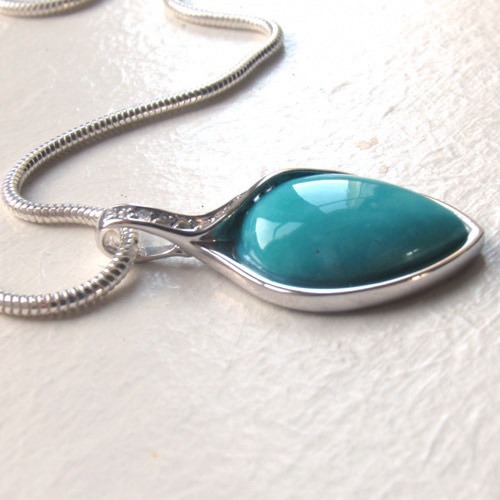 The turquoise has a light dappling of paler turquoise colour which is only apparent when seen close up but very pretty when seen. 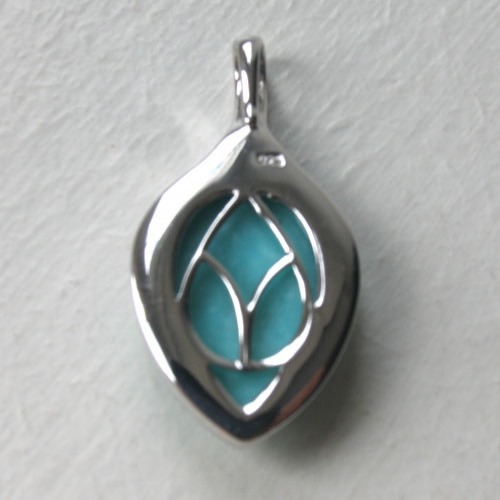 The bale of this fine pendant is a part of the pendant design. 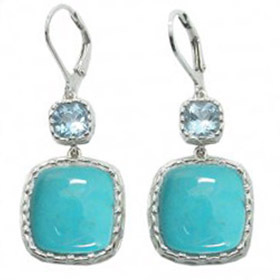 It is set with gorgeous white topaz gemstones which add a touch of sparkle and shine. 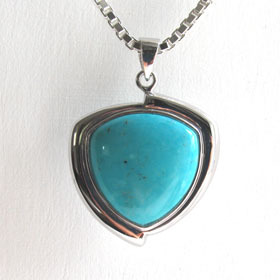 The back of the pendant has a silver frame around the shape with a silver decoration in the centre through which you can see the back of the turquoise stone. 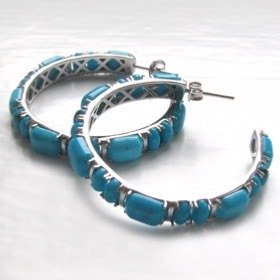 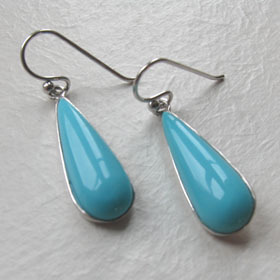 Turquoise is the December Birthstone. 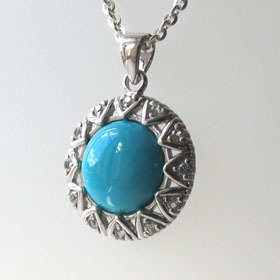 If this turquoise pendant is a gift for someone with a December birthday, she's sure to be thrilled. 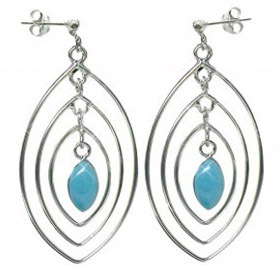 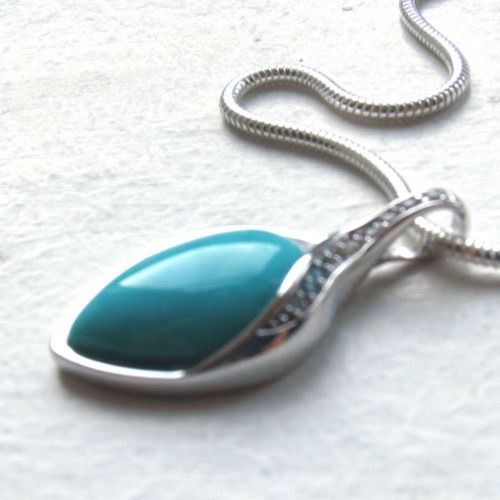 We have the largest UK collection of genuine turquoise pendants. 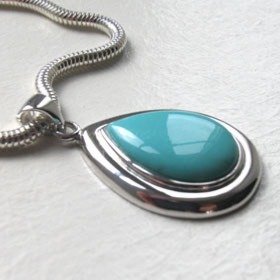 For the ideal sterling silver chain to coordinate with this turquoise pendant see our collection of Italian sterling silver chains. 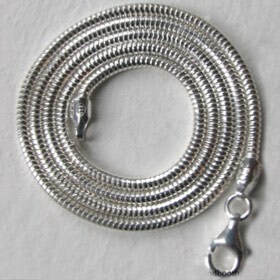 The chain featured is our silver snake chain, width 2mm available in lengths 14" to 30".